UFO SIGHTINGS DAILY: Mysterious UFOs fall from the sky and crash land in northern Vietnam, Jan 2016, Video, UFO Sighting News. Mysterious UFOs fall from the sky and crash land in northern Vietnam, Jan 2016, Video, UFO Sighting News. These unknown objects could be fuel tanks for rockets or satellites, but honestly, they don't stay in the hands of the public long enough to do any tests to confirm it. They could be alien drones, or parts of damaged alien structures in space. There are a lot of possibilities. YEN BAI, VIETNAM — Several mysterious, metal orbs originating from Russia crash landed in Vietnam's Yen Bai and Tuyen Quang provinces Saturday, giving locals quite the scare. 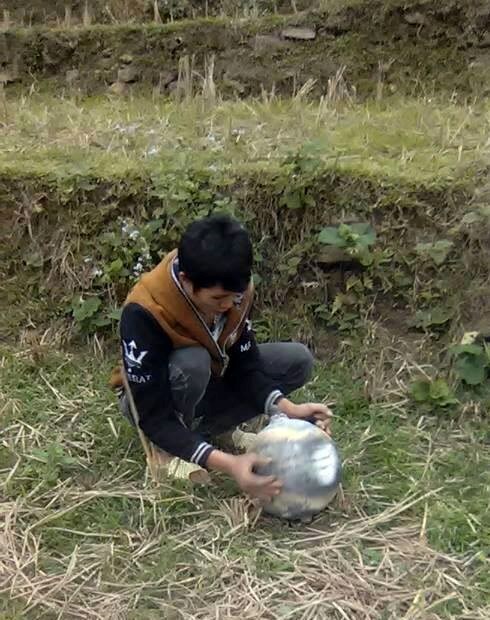 Three metal balls fell from the sky and crashed down in northern Vietnam at around 6:30 a.m. on Saturday. The smallest, weighing 250 grams, smashed through the roof of a house in Yen Bai. 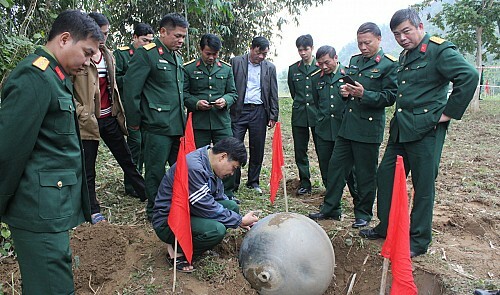 Thanh Nien News reports that a six kilogram sphere fell in a garden three kilometres away. 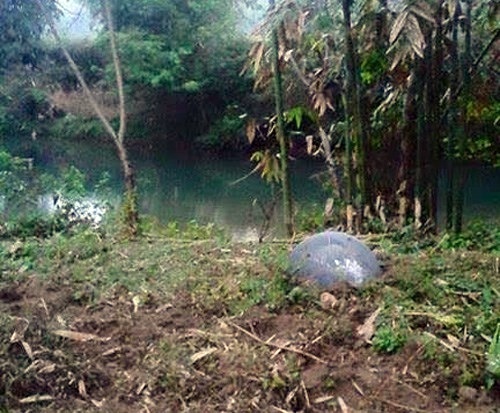 The largest object landed close to a stream in Tuyen Quang. Investigators determined all three balls are Russian-made compressed air tanks that likely fell from a rocket or aircraft. According to VietnamNet Bridge though, it's not clear if Russia owns the objects or if they had sold the balls to other countries. Thanh Nien News reports that none of the objects were explosive. Ngyuen Khoa Son, a professor at Vietnam's State Space Science and Technology Program, told VietNam Bridge that since the balls are intact, they probably fell from an altitude of less than 100 kilometres.